The State agency responsible for buying medicines for public hospitals does not stock cancer drugs amid rising deaths and an acute shortage. Kenya Medical Supplies Authority’s (Kemsa) cancer drugs are not listed among essential medicines for illnesses like malaria, HIV/Aids and tuberculosis despite the disease killing 32,987 Kenyans a year. The revelation comes as Kenya experiences a public health crisis following an acute shortage of mercaptopurine, which is used for leukaemia treatment, and carboplatin that fights ovarian, oesophageal, bladder, breast, lung and cervical cancers. The absence of cancer drugs from Kemsa’s essential list of medicines is at odds with the World Health Organisation (WHO) which has included the medications in its rank of critical health products. 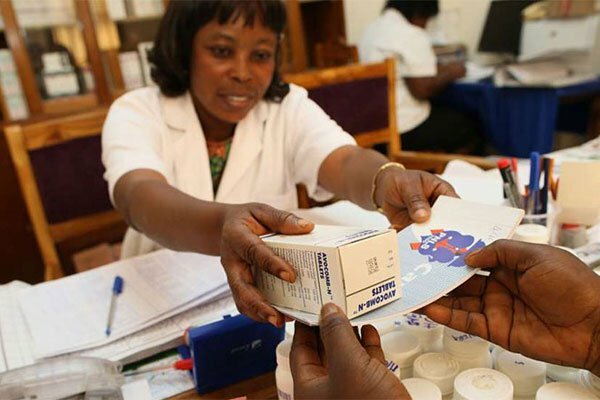 Kemsa chief executive Jonah Mwangi said cancer products have not been among the firm’s essentials drugs, adding that they will start placing orders for the medicines in the current financial year. “We have evaluated and picked on the lowest bidders and from next Thursday we will be having anti-cancer drugs on board, though Kenyatta National Hospital does not procure drugs from Kemsa,” Mr Mwangi said. Mercaptopurine, which is a chemotherapy drug, run out at KNH — which treats about 90 per cent of cancer patients in public hospitals, putting the lives of those suffering from leukaemia at risk. The shortage started in August. KNH said it was expecting supplies by end of day yesterday. “No bidder was found capable of supplying the drug at a competitive price. The authority will, therefore, procure directly from manufacturers either in India or Europe,” he said. He said the authority was not to blame for not stocking anti-cancer drugs because public hospitals do not demand them. “Most hospitals have been procuring directly from manufacturers and only turn to Kemsa when there is a problem. If they can tender with us, then we will have them in our warehouses and avoid the crisis,” Mr Mwangi said. It is not yet known when the drugs will be delivered in the country putting more lives at risk. Cancer medicines outside Kenya’s essential drugs list Reviewed by samrack on November 6, 2018 .